As part of plans to beef up the anti-graft war, President Muhammadu Buhari has approved 2, 250 job slots for the Economic and Financial Crimes Commission (EFCC). The agency is expected to recruit 750 new employees per annum over three years. The commission was also said to have resorted to zonal basis in order to avoid a repeat of the stampede which affected a similar exercise in the Nigerian Immigration Service. 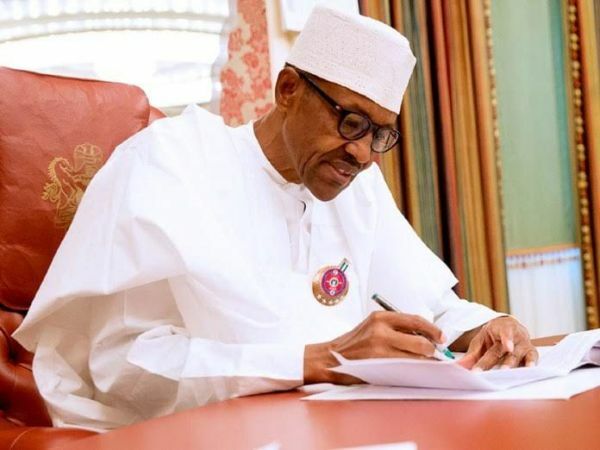 The President approved the slots to increase the commission’s number of core and support staff since the anti-graft war is moving to the next stage. It was however learnt that some highly-placed Nigerians want the recruitment to hold in Abuja so as to be able to wield influence. A document obtained by our correspondent indicated that the EFCC has written to the Federal Character Commission (FCC) and obtained approval to go ahead with the recruitment. The document showed that each zonal recruitment test is being coordinated by a Director of EFCC, two commissioners from the EFCC and other top staff of the anti-graft agency. A source, who spoke in confidence, said: “The approval letter was specific that we should employ at least 750 workers per year for the next three years. We have brought this approval to the notice of the relevant committees in the National Assembly. There is no question of secret or under-the-table recruitment. “We decided to take the recruitment process to the zonal offices to create a level-playing ground for all. And given the high number of applicants, we chose zonal procedure to avoid recruitment stampede. “At the end of the day, the best candidates will proceed to the Nigerian Defence Academy (NDA) in Kaduna for training. It was also learnt that Magu has drawn only 37 per cent of the N150million security votes appropriated for the EFCC chairman in 2017. This is contrary to insinuations that the Acting EFCC chairman had been getting N15million monthly as security votes.